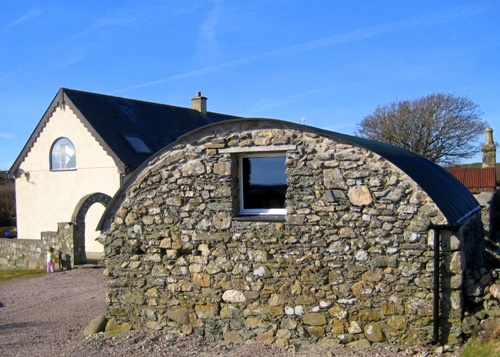 Y Stabl ('The Stable') is a fully-furnished self-catering holiday cottage strategically nestled in deepest Rhoscolyn (Anglesey, North Wales). 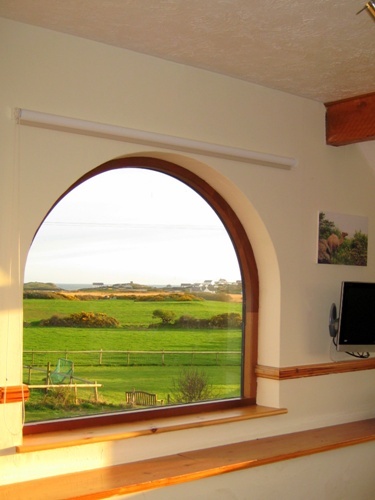 The cottage is in line of sight of Rhoscolyn beach; is only 100 metres from the Anglesey Coastal Path; is staggering distance from CAMRA Good Beer Guide pub The White Eagle; and a short walk from Rhoscolyn's beaches and natural interest/ geological sites, and the Silver Bay Holiday Village. It has 4 bedrooms and can sleep up to 7 people. We have stopped letting out the house on a commercial basis, but decided to keep this website alive for the benefit of friends/ visitors to the area. February '12: Following a complete 6-month renovation of the house, we have decided not to let out again for the foreseeable future- and instead use it for our own family holidays. 24th July '11: Sadly we had a fire at the house this afternoon. Thankfully nobody was hurt, and the conclusion seems to be that an electrical appliance burned out. This started a fire which resulted in some minor damage to the kitchen, followed by lots of smoke (and then lots of water!) through the rest of the house. May '11: New Walkers & Cyclists page created, plus we've finally loaded up the photos we took during the snow flurry that arrived just before last Christmas. 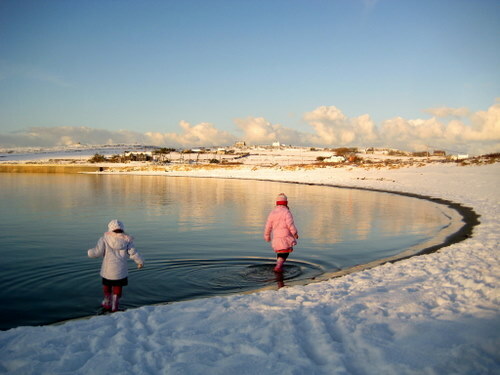 Seeing snow on the beach was a rare spectacle, let alone it sitting there for a few days during glorious sunny days. This combination of condition made for great sledging fun and great photo opportunities! Mar '10: The upgrading of the old stable (outhouse) is now complete, with water and drainage supplies. We've put in a new tumble dryer and moved the washing machine from the kitchen, and filled the gap left in the kitchen with a new dishwasher! Oct '09: The old stable has been re-roofed and now has electricity/ lights, and a window to let in light. We're planning to make it a more useful utility space for guests.